Many of you may see the term “Wedding Consulting” and wonder exactly what that is. Well, I’ll be frank, I sort of made it up. I knew the service I wanted to offer was not exactly Wedding Planning, but more of a coaching and teaching service. So, I came up with Wedding Consulting. Now I didn’t necessarily make up the term, but the meaning behind it is totally mine. Before I get into the meaning, let me give you a little back story on how I came to my definition. When I got married, I had no desire to hire a wedding planner. I knew that I wanted to plan my wedding myself. I also knew that it would be a lot of work and I had to be very strategic and organized so that I wasn’t a complete nightmare to be around during my engagement. So, I put systems in place and planned out my weeks and months all while enjoying the journey. Don’t get me wrong, I had to be very intentional with my time management and focused on “all the things,” but I did it, and quite successfully, might I add. Well, after my wedding, I had a few friends who were getting married and decided to plan their weddings as well. But they seemed to be struggling with it quite a bit. I asked one of them, why did you decide to plan your wedding yourself instead of hiring a wedding planner? Her response: “I think I can do it myself.” Now, I must I admit, her response shocked me. why not just hire a wedding planner? You see, she doesn’t have the Type A personality, like me, that likes details and lists. She is more of a free spirit and is usually very hands off. So, when she responded that way, I was honestly quite confused. If I knew anyone who would have hired a wedding planner, it would have most definitely been her. Now as I said, I noticed her struggling in her planning, so I had to ask what is her motivation. I knew it wasn’t because of lack of money; she definitely had it in her budget to hire a wedding planner. And she couldn’t really communicate any other reason she chose to go this route. So, me being me, my curiosity took over and I began to dig a little deeper. I realized that her motives were the same as mine, we just had different ways of expressing them. Wedding planning is such a special part of a couple’s journey. It is a connection to your engagement that even the most hands-off bride may yearn for. It’s a subconscious idea that when you think of your engagement, your wedding planning journey is automatically attached. When I choose to plan my own wedding, it was because I knew it would be something I would enjoy. When my friend made the same decision, she just thought she could do it. But on a more visceral level, I think, in both situations, the true motivation was the experience. The experience of making the decisions, working through the problems, and managing the budget, would ultimately all be linked back to our engagements. So, in my friend’s case, her desire to experience this part of her journey outweighed her usual hands-off tendencies. So, I gave her some advice, showed her exactly how I planned my wedding, and was available to answer her questions. And after helping her and a few other friends in this way to plan their weddings successfully, I came to a conclusion. There are 3 main reasons most brides struggle when planning their weddings; 1) they are unorganized and have no plan, 2) they have unrealistic expectations and underestimate how much work it takes, and 3) they feel alone because they have no one to help talk them through the process. so, how do i define wedding consulting? Because I strongly believe that a couple’s engagement should be a time for preparation and not stress, I want to be an advocate to help walk them through the process of wedding planning, adjusting expectations and be there for them so they know they are not alone. Now, please don’t misunderstand me, I have the utmost respect and admiration for wedding planners. They work extremely hard with their couples and do some amazing work. And the couples who desire a planner should absolutely hire a planner. But that is not the desire for every couple. So, if you are thinking about planning your wedding yourself, know that you don’t have to do it blindly. I can give some real guidance beyond Google and Pinterest where you can ask a real person questions and get feedback to get you started. Your motivations to plan your own wedding may not be for the experience. It may be monetary or for something entirely different; but whatever it is, the overwhelm doesn’t have to consume you. If you desire to plan your own wedding, I would love to be your advocate and guide you through your journey. Let’s talk about it. 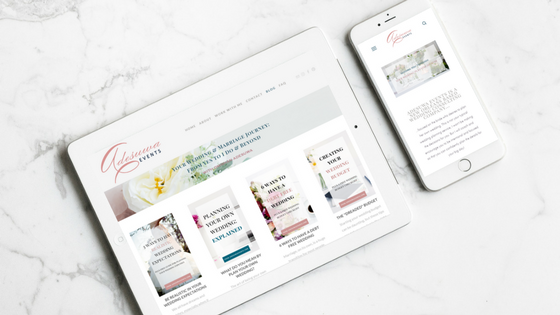 Click here to schedule your free 15-minute phone consult with me to discuss your wedding planning needs. WHAT DO YOU MEAN BY PLAN YOUR OWN WEDDING?